Sustainability in denim manufacturing started off as a fashionable statement with many brands looking to capture a niche market of eco-conscious customers. But with the continuous increase in denim production and consumption, the natural resources consumed by this industry are becoming a cause of concern for the world . And companies who realize eco sustainabililty in the supply chain of denim manufacturing is not just a fad but an imperative, are taking steps to address this problem. Levi’s had launched the Water less Jeans in the recent times and later the Levi’s: Wasteless – the jeans made from waste bottles. Similarly other denim brands and companies are taking steps to increasingly take viable steps to reduce the carbon footprint of denim manufacturing. Denim mills too have jumped the fray and taking up increasing efforts to make their own contribution to eco-sustainability. 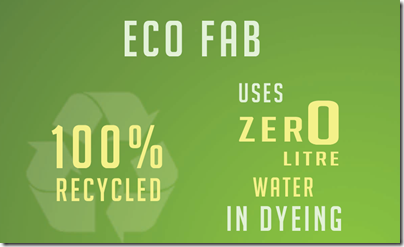 Eco Fab : Eco fab are the fabrics made from recycled ore and post consumer waste. The waste fabrics and garments are shredded and converted into fibers for being spun as yarns again . 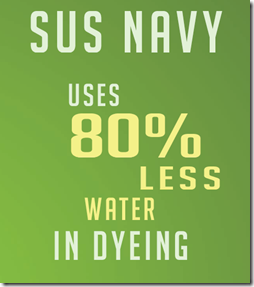 Such yarn does not require any dyeing and hence 0% usage of water in dyeing process. The fabric is woven from such yarn and converted into eco-friendly recycled fabrics. This collection would be launched in the Denim by PV at Paris. 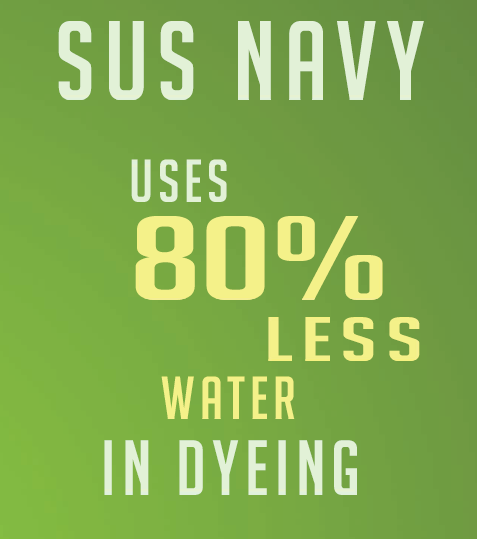 Sus Navy : Sus navy is a denim dyeing process for normal yarns which Soorty is using and which their development team claims to save 80% water in the dyeing process. The team is a bit cagey about the same for the moment as it wants to show the results during the denim by PV at Paris. Garment production: Soorty is also a large manufacturer of denim apparel. The washing processes involve a large consumption of water . Soorty calculates that from 2005 to 2012 , their consumption of water per piece in garment manufacturing has fallen from 24 Gallons to 7.5 Gallons – a fall of about 66%. Lasers and Ozone : Besides other chemical processes, the company also uses lasers and ozone washing to achieve lower consumptions of water . 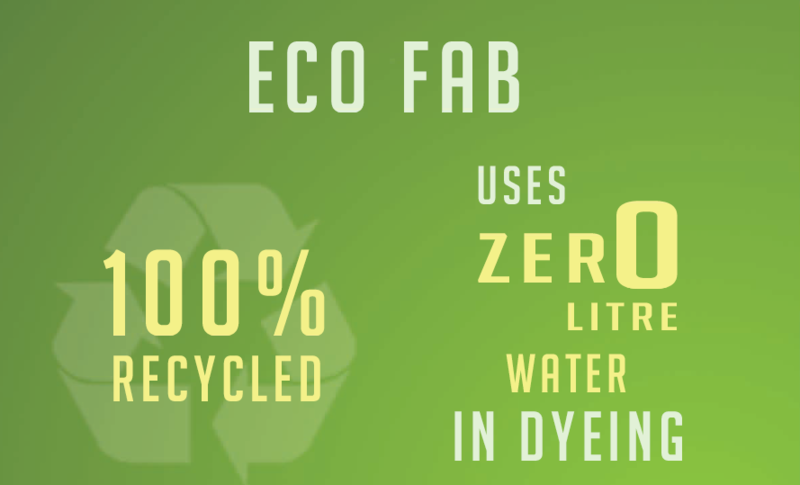 In apparel where lasers and ozone washing is used, the company claims to have achieved a standard of about 2 litres of water per piece – which is not an easy task.